I love making babies. Okay girls, you know I mean the cloth ones! 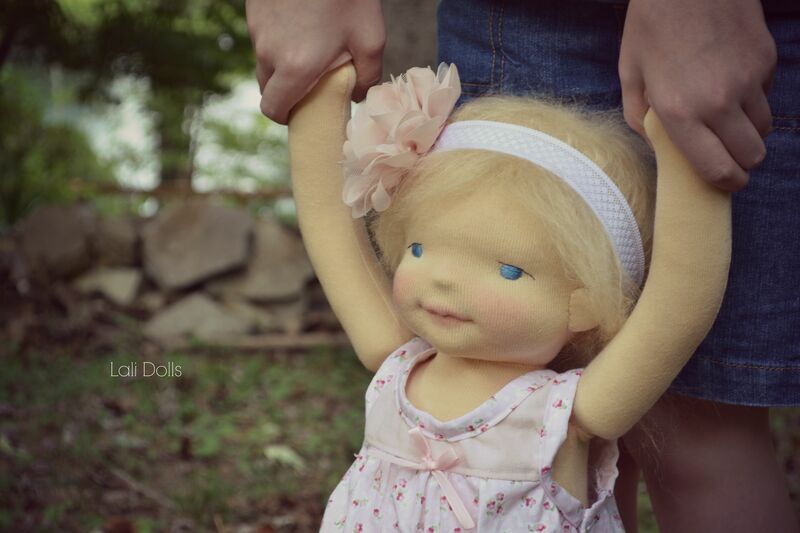 I just finished working on this custom dolly, Arden. Apart from a couple of trades I have, she is the last of my custom orders for the year. I’ve been making dolls for about 6 years now but rather than getting quicker, I am getting much slower. I keep thinking of new ways to make their bodies, their faces, their clothes and trying to perfect every little detail, while also learning new skills. I recently learned to knit from my Mother-in-law, so I am happy to say that now the little knitted booties and bonnets are made by me! It only took me about a month of lessons involving my poor MIL unpicking a lot of knit and looking puzzled over my attempts. These days it’s taking me about 3 weeks to finish a big doll but of course I can’t really work on it full time, the duties of family life take up a good part of the day. 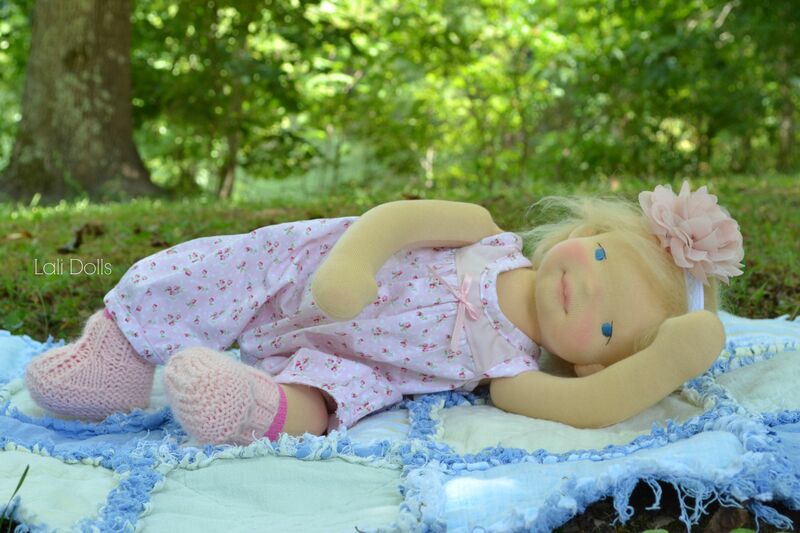 I will say I am really enjoying spoiling each individual doll I make. There was a time I didn’t love making the clothes but now I find it the most exciting part. It helps bring out their personalities. I found that putting just any outfit on them doesn’t really work for them. The dolls have their own vibe that need something made just for them. Dressing them up! I think anyone will agree that is just plain fun right? Taking their picture is another new skill I am trying to learn. I am not very good yet but I hope to improve the photo’s I take of my dolls. It is a part of them I get to keep, so I think it is important to have nice photo’s. I think though, my favorite part of doll making is the many lovely people that I get to send them to. 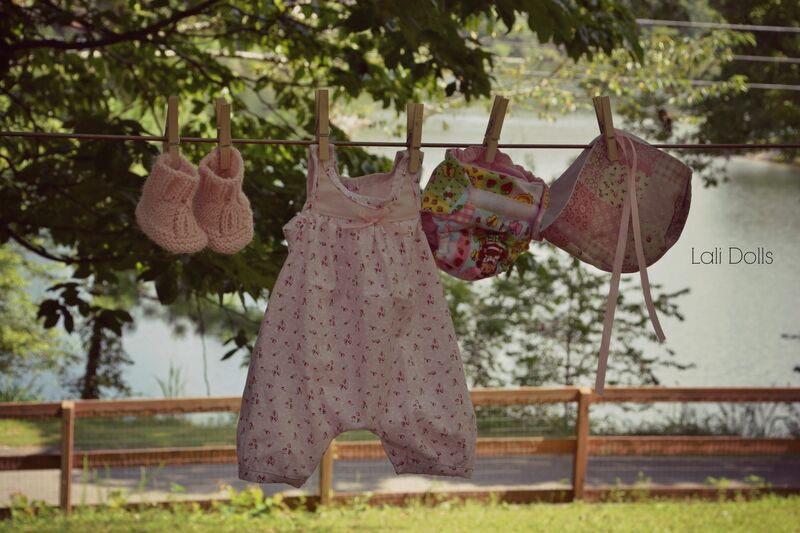 While I do miss saying goodbye to the little dollies, I am always so excited for them to arrive in their new homes. I don’t think I can ever express how much I appreciate you all, the comments you send, the support you give and the many lovely friendships that have been made in this crazy/beautiful world of dolls fills my heart. OK I have to admit that I love all the dolls and animals that you make but this little Arden and her clothing made me fall head over heels in love, her essence is so sweet!!!! I keep waiting for your elephant pattern but see why it isn’t yet, I am sure whoever Arden went to is in bliss having her in their home, thank you for sharing her!!!! Thank you so much Jeanette. Yes, slowly I am getting to those patterns lol. Seems like it is taking forever, I know. Now that I have the free time, I can dig in. She is absolutely exquisite! A true gem! Whoever gets her is very lucky. Hope to one day get one of your babies. I found Lali doll nursery a little over a year ago, and was finally able to time it right to be able to have Jenn make me a custom doll. I feel so lucky for having found her nursery, as she is Really the best doll maker I’ve ever seen (and believe me I’ve looked); and even luckier to now finally to be able to own one of her dolls! I always say babies are totally my soft spot. Little Arden is one of the most beautiful ones you ever created, Jenn! Her smile is just enchanting! Yup i admit i have a soft spot for babies too! When I started making dolls, i couldn’t even imagine why i would want to create anything other than babies lol. 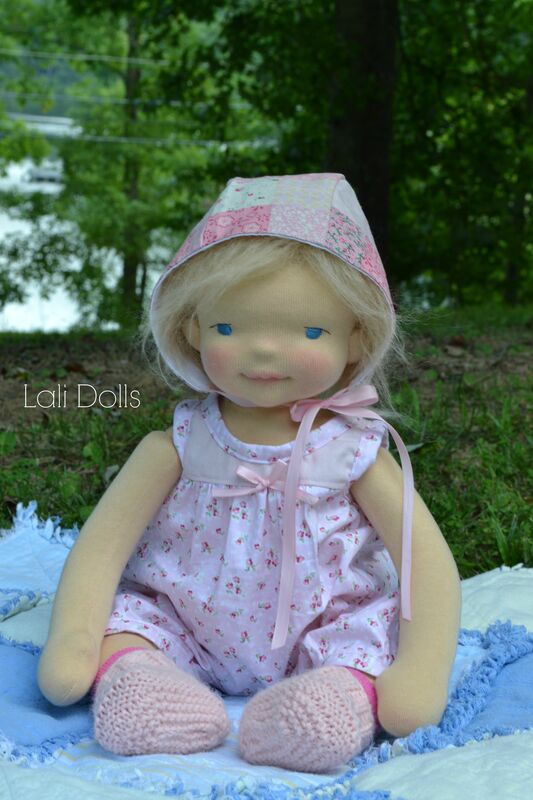 I do love making older dolls too now but have a special love for the babies. It is incredible how your dolls look like real personalities! You are a real super artist. That is the most beautiful doll I have ever seen. Your work is magical! I’m 63 and I want one too. Awww thank you so much xoxo!! Would like to see more of you dolls. Hi, yours doll is very beautiful. What did you use as her hair? Thank you. Her hair was crocheted from mohair yarn into a cap. 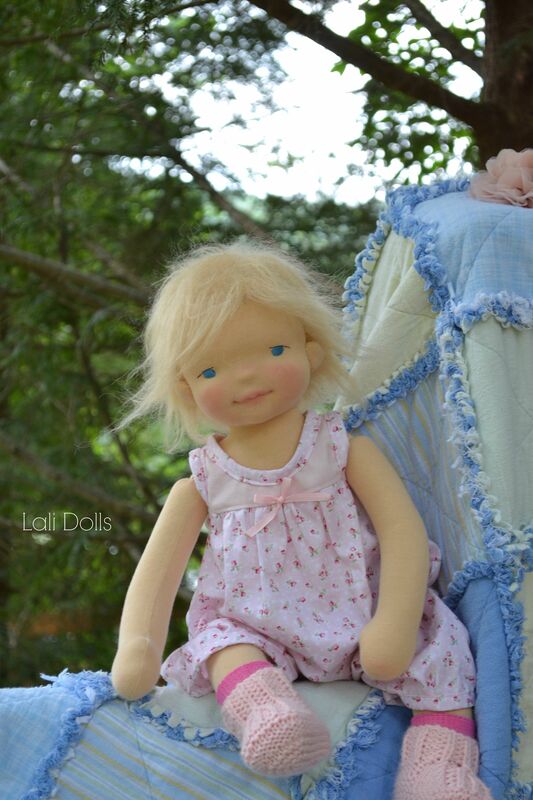 I would love to try and make one of your dolls. Do you know where I can get full instructions on how to sculpture face. I live in South Africa so no good buying pattern before I can find out how to sculpture the face. Love your dolls. Thank you for your message. The instructions for the face are included in my patterns. Good evening Jenn, I’m in love with your pretty dolls. I’m not great on the internet but would like to purchase a pattern and full instructions from you. I’m will be working in Scotland till the end of March befor retuning to SA. Is it possible to order directly from you? I would like your largest pattern of your look alike waldorf doll please. Is there a pattern available for little Arden. I have been sewing for a long time. I have never made a doll like her before but would Love a chance to try . She also reminds me of my granddaughter. Absolutely stunning…you are very talented!! I’m just starting out woth this type of doll. I eas wondeing what have you used for the eyes? They look so realistic! Thank you Helen! Her eyes are embroidered by hand with cotton embroidery thread.